Once you have connected Slack and set up your Tableau connection, you're all set to start testing Kiwi. Just go to Slack, open any public channel or direct message the newly added @kiwi user and type "/kiwi" and hit enter. Browse your Favourites and post a Tableau View to the conversation. Next try searching for a view by typing "/kiwi search Superstore". We made it intentionally easy to share instructions with others while keeping you in the driver's seat. Oh, and all of your Slack users will be able to log into Kiwi by using the "Sign in with Slack" option - no additional credentials necessary. By default, everyone in your Slack team can use Kiwi but will initially only have access to the Demo data preloaded to your account. Therefore, it's important to give them access to your real Tableau data - however it might be useful to limit the number of views (depending on how many you have) and only have relevant ones accessible. Learn how to set permissions here. Your favourite Tableau views are always just a quick "/kiwi" away. Therefore, define which ones are supposed to show up. Simply go to the Portal and click on the small star icon on any view you'd like to have in your Favourites folder. There will be nothing that increases visibility and awareness of your most important KPIs than pushing them frequently to your team's Slack channel. However, limit yourself to ones that require frequent attention (because they change frequently) and make sure they are relevant for the respective channel. If you're sending too many scheduled reports or the information is not relevant to the recipients, people will stop paying attention and it will be tough to regain that attention. That doesn't mean they can't get frequent insights from Kiwi. You can set up scheduled Reports and send them to any Email address, filter the views and include PDF, CSV and PNG attachments. 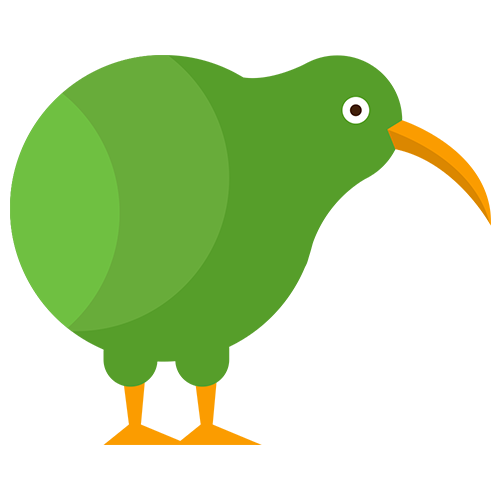 Please let us know what you think and how your experience with Kiwi has been so far. Send us a quick note and never hesitate to get in touch with us directly. We reply to every message. You direct line to us is always in the bottom right of the page 😉. You can also shoot us an email at info@kiwimydata.com.